You Aren't on 5G Networks Despite What Your Phone Shows | HOBI International, Inc. If you’re in the U.S and AT&T is your mobile network operator, you may have noticed a change at the top of your phone. For the past week, the wireless carrier has been swapping out “LTE” for “5Gᴇ” at the top of many of its customers’ devices. Many informed users know that like other mobile carriers, AT&T is in the early stages of rolling out their 5G wireless networks, which promises considerably faster data speeds and near-instant connections to other 5G devices. However, what they’re less likely to be aware of is that “5Gᴇ” is not the 5G high speed network we’ve been promised. In an AT&T document discussing how the company plans to roll out a 5G network, AT&T says that “5Gᴇ” stands for “5G Evolution” and confirms that “5Gᴇ” actually runs on the company’s existing LTE networks. And while it sounds like AT&T is essentially running their customer’s phones on 4G LTE, this isn’t entirely true either. Dubbed “5G+,” the mobile carrier is looking to slowly transition from 4G LTE to “5Gᴇ”. So while we aren’t there yet, we’ve made a few steps towards the new network. AT&T plans to roll out something closer to the 5G capabilities we’ve been promised in 12 U.S. cities by the end of 2019. AT&T’s move is likely more of a marketing push to make people more aware of the coming changes, though it seems this could backfire easily. 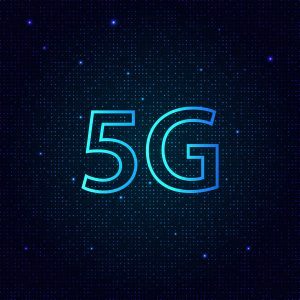 Some customers might think they already have 5G, so why would they need to upgrade to a new 5G device when the 5G network actually arrives, while others might be upset at being given the impression they have access to 5G when they do not. Either way, if you’re on AT&T, you’re likely not going to have access to real 5G speeds on phones that can connect to 5G networks anytime soon—and when you do, it’s not going to be cheap.